Dennis Wingo: There is a story in the Old Testament that illustrates wisdom - the wisdom of King Solomon. Solomon was the king of Israel and had been proclaimed to be the wisest man in the world. The story begins with two women who lived in a house together. Each of them had a child. The first mother gave birth three days before the second one did. At some point, the second mother apparently rolled over on her child and suffocated it. When she woke up in the middle of the night and realized what she had done, she took her dead son and swapped it with the first mother's son. When the first mother confronted the second with what she had done, the second mother denied it. The women brought the matter before Solomon, who was the ultimate judge of such things in those days. Upon hearing this story, Solomon had a simple solution: "Bring me a sword" he commanded. Solomon then said "Divide the living child in two and give half to one and half to the other". The first woman, whose child it was said "O my lord, give her the living child and please don't kill it". The second woman said "let it be neither mine or yours, but divide it". The king answered and said "give her (the first woman) the living child and in no wise kill it: she is the mother". So ... What does this have to do with NASA? With regard to its future, NASA faces a no less heart wrenching question than Solomon and the baby. It is almost inevitable that NASA will have a smaller budget for the next several years. Under the optimistic scenario i.e. the budget submitted by the White House, the agency will receive a slight decrease, from $17.77 billion to $17.71 billion. The Senate Commerce, Justice, Science, and Related Agencies Appropriates Bill provides $18 billion for NASA. The House Commerce, Justice, Science, and Related Agencies bill provides just $16.6 billion for NASA. With a Continuing Resolution a near certainty and with the sequester subtracted from that amount, a number very close to the House version is the result. Throw in a looming government shutdown and a debt ceiling food fight just to enhance the dysfunction. If a budget in the range of $16.6 billion is what happens NASA will have a major problem maintaining both the International Space Station (ISS) and the SLS/Orion Exploration program. Instead of a dead baby and one in dispute, we have two babies, neither one adequately nourished. As such death for both of them is a likely through financial neglect. Given that the funds are simply not going to be available to keep the ISS alive and functioning and to fully construct and operate the SLS/Orion system, something has to give. Are we going to have to kill one to insure the other's survival? That is the choice that that is presenting itself - a clear recipe for disaster as far as NASA's human space flight plans are concerned. 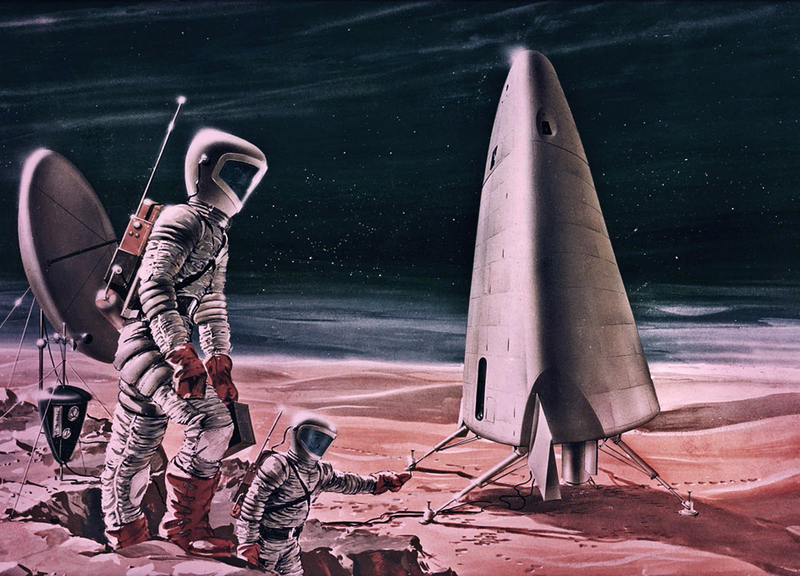 There is every likelihood that had the government continued to support space at the FY-1966 percentage that we would have colonies on Mars, a lunar base, probably humans to Europa, large communications platforms, persistent and ubiquitous remote sensing, real time climate monitoring, and solar power beamed from orbit. All of these things were in the pipeline at the time and there is every indication that if this was the case, that many of the problems that beset our society today, (declining educational performance, unemployment, and energy) would not exist. However we don't live in this alternate timeline and thus have to deal with the world as it is today. Living in the real world is not what certain Senators did when the new administration in 2009 went a different direction than the Constellation program and its Ares V heavy lift vehicle. Several reports and commissions stated that the Constellation architecture was not financially sustainable, including the Augustine commission that said that NASA was $3 billion a year shy of what it needed to execute on exploration using the approach anchored to a heavy lift vehicle. People that like to rewrite history want to blame congress for this but the amount of money that NASA was going to get was not any more than it got. In the O'Keefe era and even in the Dan Goldin era of NASA management, they understood that the development of heavy lift was an expensive proposition and thus worked to develop exploration architectures that did not require one. I understand what Dr. Griffin was trying to accomplish in attempting to force congress to provide more money for the heavy lifter in the same manner that money was eventually provided for the ISS, but it did not work. Griffin was able to terminate the Shuttle program and shift those resources to exploration, and to use some of those funds to enable the public/private partnership with SpaceX, Orbital, and others to begin to use the discipline and desire of private entities to do space cheaper than NASA. However, after Griffin's departure and the efforts of a few Senators to force NASA to retain the most expensive parts of Constellation, we are now in a position to where a fight is already starting between ISS and the SLS/Orion vehicles, with the side effect of a budget evisceration of commercial crew. 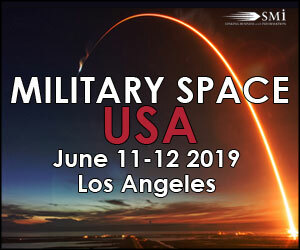 (c) Commercial Use of Space.--Congress declares that the general welfare of the United States requires that the Administration seek and encourage, to the maximum extent possible, the fullest commercial use of space. When considering the path ahead and our Solomon's choice for exploration, we must keep in our minds that more is at stake than an internal fight between to programs that seek to continue to be funded. It is a fight for the soul of the agency and the future of American exploration of space. NASA has landed humans on the Moon, sent a spacecraft into interstellar space, discovered a thousand worlds in solar systems beyond our own, and has built the largest edifice representing the international peaceful development of space in ISS. The fight between SLS/Orion and ISS will define NASA for better or worse for the next generation. We must consider both alternatives to see which is more in tune with the charter, history, and legacy of NASA and the aspirations of the American people. In an effort to gain some clarity on which direction we should go, lets explore the ramifications of what should be a clear decision one way or another. 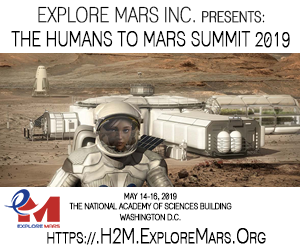 Lets is further specify that humans on Mars is the eventual goal as declared by NASA administrator Bolden. Bill Gerstenmaier, Associate Administrator for Human Exploration and Operations (HEOMD), is the guardian of both of our space babies, ISS and SLS/Orion at this time. 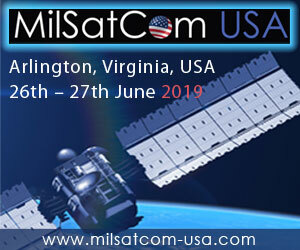 "Gerst" as he is widely known has stated that a decision needs to be made in 2014 whether or not to shut down the station in 2020 as the current plan has, or to extend the ISS operations until 2028. The looming fight between ISS and SLS/Orion is explored in an article by Joel Achenbach, published online by the Washington Post on September 14, 2013. Rather than rehash the arguments lets make the tough call and kill ISS completely, dumping it in the ocean in 2020. There are costs associated with this but lets ignore them and assume that all of the budget (Using the projected numbers in FY 2018 as a guide from the president's budget of ~$4.4 billion dollars) for ISS becomes available for SLS/Orion in FY 2021 and lets see what happens. Under the current exploration plan, which we will assume will happen, the first SLS flight goes off as planned in 2017/2018. The next flight of the SLS/Orion is not until 2021 - supposedly for a mission to an asteroid, a mission with no funding between now and 2021 (funding does not appear in the NASA budget plan at this time). As such, that asteroid mission, though a laudable effort to utilize the SLS/Orion assets to do something, appears to be a non-starter. During this time the institutional overhead of the SLS/Orion program, including salaries must be paid. Since funding would only begin to flow into an exploration-related SLS/Orion in FY 2021, the next launch after 2017/2018 would still happen four years later. At this point the production schedule is based on the current out year budget understanding - so there would only be one flight per year in the 2022, 2023, and 2024 timeframe - including a multi-billion dollar annual institutional overhead. There is no possibility with NASA's current project development and management structure that any hardware for either a lunar or a Mars mission could be ready before 2025. This means that the U.S. would notionally only have one manned mission every other year during this timeframe. A human Mars mission would be impossible with the projected budget under the current Design Reference Missions (DRM's). Figure 2 shows some notional architecture elements from the last public presentations that NASA has made. While these are all incredibly interesting developments only two of them (the MPCV [Orion] and the SLS) are currently funded. 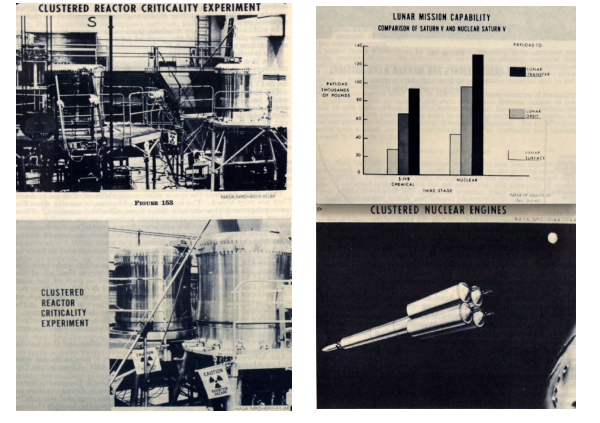 In the NASA DRM 5.0 there is another development that is necessary, a Nuclear Thermal Reactor (NTR) stage. The reason for this development in DRM 5.0 is that the DRM's using only chemical propulsion for a single human Mars mission requires as many as twelve launches of an SLS class vehicle, something impossible with the currently planned industrial infrastructure. The NTR version requires only nine SLS launches. The chemical DRM is shown in figure three and the NTR staged version in figure 4. With serious development of the NTR delayed until 2021 and with the most optimistic cost of SLS vehicles at $500m each, it becomes easy to understand the schedule by NASA that humans won't go to Mars until 2032. 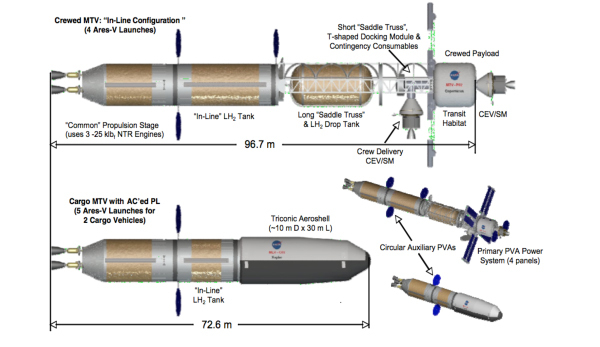 Another thing to note is that in order to achieve the chemical DRM mission this architecture requires an SLS heavy lifter launch once every three weeks. This has to happen after NASA has given away launch pad 39A. Does this strike any knowledgeable observer as doable? With an unlimited budget during the Apollo era NASA only achieved one launch every 60 days for the Saturn V. During the Shuttle era the best that was achieved for the semi-reusable Shuttle with four of them operational, was one launch every six weeks - and that was only done for a short portion of the Shuttle program. Does anyone seriously think that NASA's probable budget can support this flight rate? Perhaps NASA could get one mission like this off occasionally. And NASA would need to do so with a probable budget that falls woefully short of what is really needed. This means that sending humans to Mars would amount to nothing more than a repeat of the Apollo era flags and footprints and it is still almost certain to cost more than the available extra $4.4 billion a year that would come from an ISS budget. What SLS supporters want to convince us of is that a manned mission to Mars is so important that successive congresses over a period of two decades will financially support a program that leads to a human landing on Mars perhaps twice in a decade. Each manned Mars mission would cost a minimum of $10-15 billion dollars even after the development costs are written off. Infrastructure and overhead for the program would cost at least as much as the Shuttle program's $3 billion a year since NASA would more or less be using much of the same assets. Once again, does anyone who seriously follows the space program think that this is achievable, especially with the serious demands on the treasury coming from the retirement of the baby boomers? Does anyone seriously think that a schedule with this languid of a pace will excite the public or provide an impetus for STEM education? Is the possibility of finding life on Mars that compelling as to justify this level of expenditure for this little return? Does this even do something more mundane which is to preserve our aerospace industrial base? These are all very legitimate questions that I think must be answered all in the negative if we are being honest with ourselves. When looking at the NASA SP-2009-566-ADD (DRM 5.0 Addendum) we get further insight on what NASA wants to do on Mars but little indication about how to pay for it. There is a lot of good in these DRM's - and if we had the money they would be a good starting point. However, as we can see from reality around us, this is not the case, and thus we must look elsewhere for another architecture if we want to get humans to the surface of Mars and retain fidelity to the NASA charter. In considering this architectural path, where is commercial in the SLS/Orion pantheon? Without any commercial components in the SLS/Orion architecture NASA has essentially abandoned part of its reason for being. Now in the Apollo era this was ignored as commercial space was not conceived in that era but today we live in a vastly different world. Where is the future for Dragon, Cygnus, or any commercial space provider in this architecture? Ironically the President's budget is the lowest of the three if you leave out commercial crew, which at this time benefits ISS but can be a crucial element of success in exploration. If successful, commercial crew will shift funding from the $833 million flight support line in the ISS budget that now goes to our foreign partner Russia. Also the $742 million (Presidents budget) Space Technology line can be further integrated into an exploration architecture. So, let's be fairly conservative and use the $3.092.2 billion from exploration and the ISS $742 million space technology line to a conservative $3.75 billion per year for ISS based exploration. Rather than delve too deeply into details that only results in the "your plan vs mine" mentality lets look at the big picture. First of all there is the immediate decision to extend ISS at least to 2028-2032 time frame. Since this is already pretty much in the budget there are no changes there. With SLS and Orion cancelled though there are many opportunities to leverage the previous expenditures in order to support near term exploration. There have been a lot of developments in those programs that are good no matter which architecture is chosen. First of all the development of the J-2X engine and its fielding is a good thing. Just as the Apollo S-IVB with a J-2 was used on the medium class Saturn 1 launch vehicle a J-2X upper stage placed on an EELV or SpaceX Falcon heavy would bring those vehicles up to 50-70 tons to LEO, plenty to support exploration. The development of the F-1B successor to the Saturn V's F1A engine under the exploration technology program should go forward as well, though it would be financially prudent to nick the USAF for half the funds as the engine would be used to replace the RD-180's currently used on the Atlas. A co-production opportunity could be extended to SpaceX as well that if they can build them, then it could lower the cost of the Falcon series of launch vehicles. 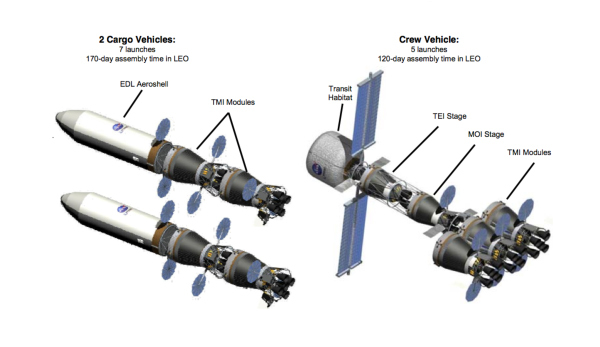 The Orion vehicle is being built as an all-purpose, do-everything NASA vehicle. One use is to visit a space station that would not exist by the time it was ready for service. The Orion is supposed to be able to do missions to deep space and already it was being compromised due to financial difficulties to have ESA build the service module based on their ISS ATV vehicle! Not so much for the Moon - but for Mars - NASA needs a deep space vehicle. This deep space vehicle could easily built from ISS module structural elements and the avionics and life support system and avionics from Orion (which also benefits from the ISS lessons learned). One of the main arguments for heavy lift is that orbital assembly is too risky to be used. However, as can easily be seen in the previous section even the NASA DRM's require a lot of hardware assembled in the ground and then launched. Since the advent of the ISS, including its construction, the utility of orbital construction has been completely validated. Also with heavy lift, those pieces that are built on the ground must work 100% for several years in space, something that poses its own set of risks. With the ISS the modules needed for whatever BEO mission desired can be lofted to the station, can have commonality with ISS subsystems (something assumed 20 years ago), and can be tested for as long as needed to wring out any problems that could be fatal otherwise. 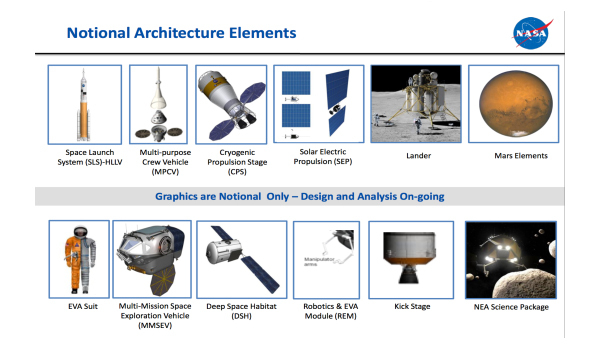 With $3.75 billion dollars a year to spend, just about every other DRM element shown in figure 2 could be built, flown to the station and tested. When they are proven, launch vehicles such as the Falcon Heavy or a J-2X enabled Delta IVH or Atlas V could be launched with stretched upper stage fuel tanks as their only payload, where they could rendezvous with the elements at ISS and then be taken to lunar orbit or beyond. The bottom line is that we can begin exploration beyond low Earth orbit seven years before the non-ISS centric approach. Also, by not spending tens of billions of dollars on developing an asset that will have very high institutional costs and a very low flight rate (think the Shuttle here) we don't lock ourselves into these high costs for decades. There are many things that can be done, on the Moon, toward the asteroids, or even Mars with the extra almost $4 billion per year. By making progress we can show to congress and the American people that we are stewards of their funds. Another argument in favor of the ISS model is that the workforce that is currently designing the single point SLS/Orion system could be used for EELV upgrades, a NASA'ized Falcon Heavy, as well as the in space components of Orion. A trained engineering workforce would be immediately available, something that would not work in the ISS stand down in 2020 as much of the ISS program is operational, like the Space Shuttle and those operational people would have to be let go and not be reconstituted for years. NASA has gained an amazing amount of experience with in space operations, EVA, long term life support systems, all of the things are actually needed for deep space and Mars missions that would be lost in an extended stand down due to ISS termination. Now some of this could be retained with the asteroid mission but without funding for that mission, these people would be lost. As of September of 2013 there are five cargo vehicles (ATV, HTV, Progress, Cygnus, and the SpaceX Dragon) from the U.S., Europe, Russia, and Japan capable of bringing cargo to the ISS. There are seven launch vehicles (Proton, Soyuz, Ariane V, HII, Atlas 5, Delta IV, and the Falcon 9) capable of launching heavy payloads to the station, up to 25 tons today and 50 tons soon with the Falcon heavy. All of these vehicles are fully operational (except the F-Heavy) and can be used to take components, subsystems, or fully integrated units to the station. Our international partners in ISS are just as motivated as we are to keep production lines going. Even the SLS/Orion uses the same production line (the ATV production line at Thales Alenia) for the Orion service module. There are tens of billions in sunk costs that can easily be leveraged with nothing more than a purchase order for these vehicles. In addition to this, with the currently funded Commercial Crew contracts we will have possibly three means to ferry humans to space from the U.S. as well as the Russian Soyuz. There is a simple fact of industrial production that the more units that you produce, the lower the per unit price as the R&D and capital infrastructure costs are amortized and production efficiency increases. It is not just SpaceX, but the other potential crew delivery services (Boeing's CST-100 and Sierra Nevada's Dream Chaser) represent a new era in a public/private partnerships that will lower costs for NASA access to space as well as fulfill NASA's congressional directive in their institutional charter to support commercial enterprise. Space cannot forever be the sole province of the government and there is a slowly growing, but growing nonetheless commercial space sector based around ISS utilization. It's the American way and its support is already beginning to transform the aerospace sector. 1. ISS is in the wrong orbit to support exploration. While orbital inclination is important, a careful perusal of the Delta IV, Atlas V payload planners guides indicates that the maximum payload deficit is 6.3% for these vehicles. Since launches to LEO by these vehicles are more often volume limited than mass limited this small loss in payload is meaningless, especially since these vehicles exist. Also, a 6.3% loss to 51.6 degrees to an existing $100 billion dollar outpost is far better than zero losses to an unused orbital location with no infrastructure. Additionally, if solar electric propulsion is used, the ISS is in a better orbit as the station goes into full sunlight multiple times per year, thus allowing for a full power climb out rather than the losses that happen when a solar electric system is shadowed. 2. ISS does not have the infrastructure to support exploration. Yes it is true that the dual keel idea from the Space Exploration Initiative era was never implemented. However, that does not mean that ISS cannot become a base of operations for exploration. The Common Berthing Mechanism (CBM) is currently being manufactured by JAXA in Japan and SpaceX in the United States. This is a good interface that still has the capability to be upgraded for exploration vehicles. Today the manufacturing facility that Thales Alenia will use for building the service module for the Orion vehicle is the same facility, with the same infrastructure that is used to build the ATV and the Orbital Sciences Cygnus vehicle. The JAXA facility that built the Kibo module, builds the HTV cargo vehicle. In the U.S. the NASA assets at the Marshall Space Flight Center with the U.S. modules were built are still intact and even an ISS node is sitting as a flight article that could be outfitted as an exploration vehicle. On-orbit, with minimal modifications, the station can handle more visiting vehicles should it be desired. The truss for the dual keel still exists and some of the parts have already been updated to modern CAD standards. This truss was flown on STS 61-C and a 10 meter long segment constructed. If we need more places to hang things, there are ways of doing it today. However, if ISS goes away, all of this infrastructure will be scrapped and the people and the processes in place to do this work will be scattered to the winds. Yes there is some merit to this statement, it is after all a government project but there are ways of dealing with that as well. NASA administrator Dan Goldin did what it took to make ISS workable by pushing off a lot of the work to the internationals and it has paid off. The ISS is possibly the best example of a successful international technical project in world history. Also, ISS is not going to be around forever. If the ISS centric exploration architecture takes hold, then the cost of exploration will decrease on a per mission basis as flight rates increase for launch vehicles and the development costs for the infrastructure continues to be amortized. Extending elements of the ISS design (the hard modules, life support systems, the interfaces, the pallets) will all pay dividends forward for exploration that would be nearly impossible with an SLS/Orion centric architecture. This article started with the tale of a baby and a dispute that could have ended its life. This set up the premise that we have now regarding which baby of exploration should be saved. With the SLS/Orion centric model we have yet another stand down of years, the loss of corporate knowledge and the uncertainty over funding for the actual exploration implementation plan. Even if the plan is funded within the context of what is the probable available budget the results are so meager as to call into question the whole concept. The budding public/private partnership for commercial cargo and crew is already threatened and headed toward oblivion. With the ISS model we preserve jobs, enable commercial space, preserve the intellectual property, the corporate knowledge, the infrastructure of the ISS system plus we can integrate the critical subsystems of the SLS/Orion architecture into an exploration implementation that can begin today, not in the 2020's. The worst possible solution is to keep both programs limping along. The ISS has an inadequate budget to fully utilize its capabilities. In truth this was the problem with the Shuttle program as well as the Orbiter did not even come close to coming into its own until the construction of the station, one of the things it was originally designed to do. The ISS was originally designed as a way station for exploration but was morphed into a microgravity science platform and political camping place for scientists and engineers in the early post cold war era. SLS won't have any significant budget to do anything until the second possible term of the next president, hardly a recipe for confidence in its political future. Additionally, the jobs and contracts lost in the U.S., Europe, Russia, and Japan bode ill for future international cooperation in exploration. The question comes, and it is to all concerned, do you believe in the future? Is your pet project worth more than the future of space exploration? Have any of you thought about what the ramifications of global television coverage showing the fiery death of the ISS will do to the public's desire to fund another hundred billion dollars for space exploration after watching a hundred billion dollars worth of their money burning up in the atmosphere? This should not have to happen. In a rational world where wisdom rules the ISS would be our forward base in orbit, serviced by the SLS carrying heavy payload elements for exploration. These would be assembled in a manner similar to what Von Braun and Bonestell envisioned six decades ago, to create vehicles to fulfill our dreams for the colonization of the Moon, Mars, and the development of the solar system. Orion becomes a true space vehicle, providing a home for the crews on their journeys. This is both the greatest adventure for humans in a world where daily our hopes for the future are questioned by bad events worldwide, and the dawn of an age where space is appreciated as the final frontier, and its contribution to our society is such as to help us transcend the problems of resource depletion and poverty of our era.